Cats Protection has launched a campaign calling for change in the law to protect young kittens being sold sick and underage. 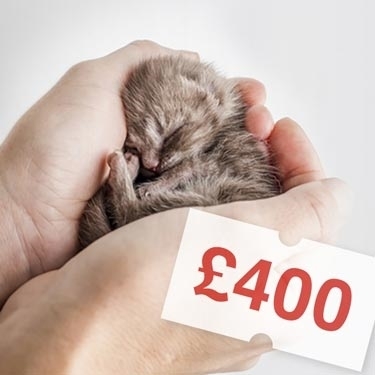 Cats Protection’s Advocacy Manager Jacqui Cuff said: "While there have always been individuals prepared to cash in on the appeal of a young kitten, it is the growth of the internet and social media that has made access to kittens quicker and easier than ever before." She added: "All too often, unsuspecting purchasers buy kittens which are sick and in many cases, younger than eight weeks old – the age at which they’re ready to leave their mother. The end result can be emotionally and financially draining, with significant suffering for the kitten and hefty vet bills for the owner. In some cases, the kitten may not survive."